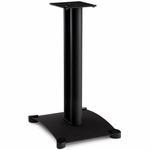 The right speaker stand is in stock, and ready to be shipped to your home theater. 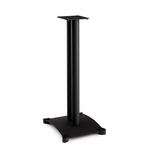 We carry a wide selection of speaker stands, to accommodate every home theater style and speaker arrangement. 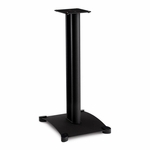 We also feature many center channel speaker stands that can be placed below a projector screen. 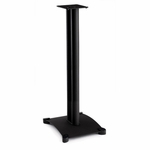 If you have any questions about Speaker Stands, just give us a call at 1-888-764-9273 and we'll be happy to help. 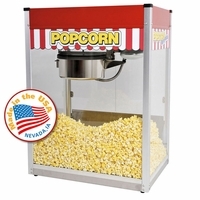 Flush Base Home Theater Satellite Speaker Stands 27"-39"
Teardrop Base Home Theater Satellite Speaker Stands 28"-38"
Glass Base Home Theater Satellite Speaker Stands 28"-38"
Euro Satellite Speaker Stands 26" - 42"
Hover Foundations Satellite Speaker Stands 36"-58"